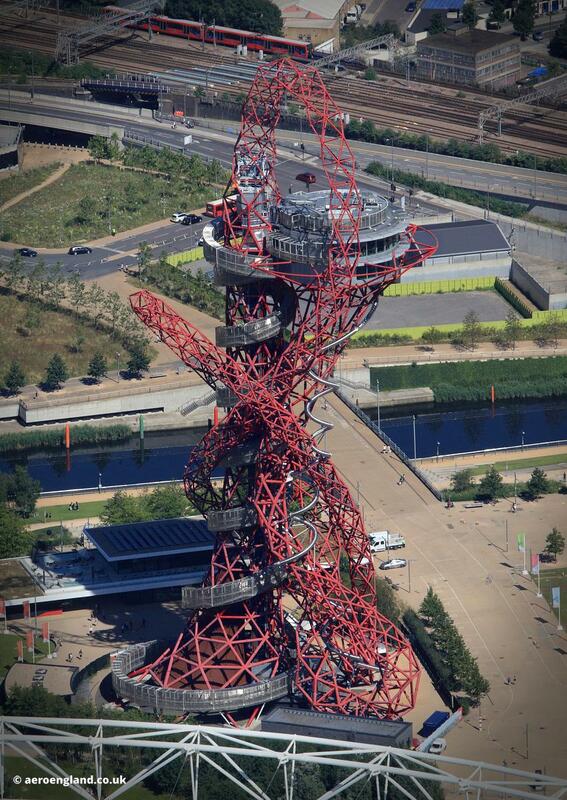 aerial photograph of the ArcelorMittal Orbit at the Queen Elizabeth Olympic Park in Stratford, London. Designed by Sir Anish Kapoor and Cecil Balmond of Arup. 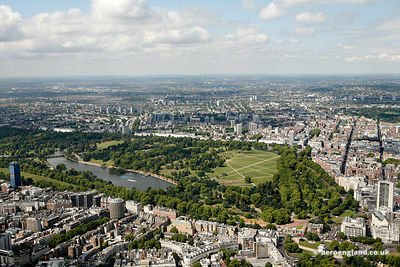 At 376ft tall it is Britain's largest piece of public art. In 2016 the world's tallest and longest tunnel slide was added to the stucture. The slide is 178m long and designed by Carsten Höller.